About a month ago I had the pleasure of visiting Carleton University in Ottawa as part of their Shannon Lecture Series. This year the lectures were organised by the amazing Dr Shawn Graham around the idea of “Bad Archaeology”. The moment he suggested it, I was all in! 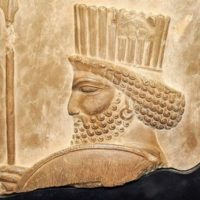 The talk had to have a Canadian angle, so I used the hot case of the “Persian Guard” to, first, tell a fascinating story, and second talk about the actions of white collar actors within the antiquities world. It’s now up as both a video and a podcast, and you are welcome to take a look.